Designed to accommodate parallel limb bows. 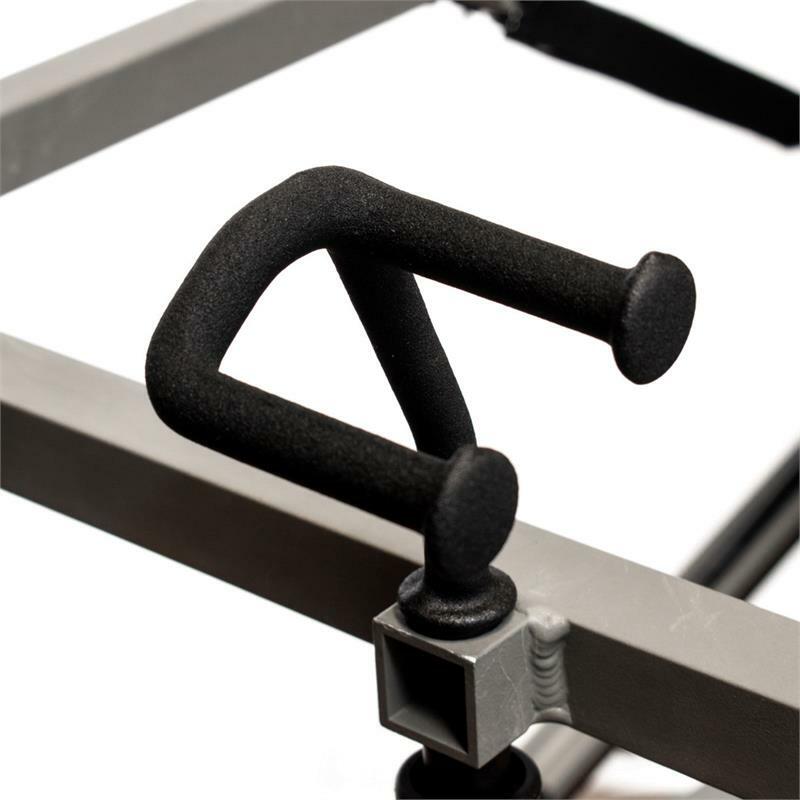 This bow holder opens to the left to allow for quick and silent movement for the right handed bow hunter. It attaches to the front accessory mounting lug on the Equalizer, BuckShot BigShot and CenterShot treestands. Dismount bow to the left. Black rubber coated carbon steel. Mounts in front accessory lug on seat climber.